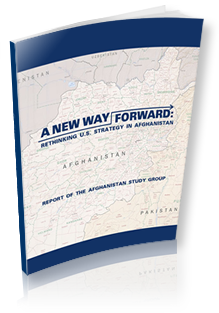 Sign up for the Afghanistan Study Group Newsletter. At nine years and counting, the U.S. war in Afghanistan is the longest in our history, surpassing even the Vietnam War, and it will shortly surpass the Soviet Union’s own extended military campaign there. With the surge, it will cost the U.S. taxpayers nearly $100 billion per year, a sum roughly seven times larger than Afghanistan’s annual gross national product (GNP) of $14 billion and greater than the total annual cost of the new U.S. health insurance program. Thousands of American and allied personnel have been killed or gravely wounded. The United States should by no means abandon Afghanistan, but it is time to abandon the current strategy that is not working. Trying to pacify Afghanistan by force of arms will not work, and a costly military campaign there is more likely to jeopardize America’s vital security interests than to protect them. The Study Group believes that the United States should pursue more modest goals that are both consistent with America’s true interests and far more likely to succeed.